"They have also got the surname wrong." A technicality but an important one. When the other party files their case brief with the court it consists of all the documents and exhibits they are relying on for their authority to take legal action against you and to prove their case. If your name is John Smith and they write John Smyth, that is not you, that is someone else. You ask for the case to be dismissed because you are not the person they are taking legal action against. "Your Honour; my name is Smith not Smyth, the prosecution has summoned a different person, not me, I am here by mistake, I move this case to be struck out." If they request an adjournment so they can fix their blunder then you say something like this or whichever part of it you choose to use. "The other party filed their case brief with the court. If they have made a mistake that's too bad for them, the court owes them no leniency. Where in the xyz court Act does it say the court can be lenient on the prosecution? They had their chance to get their details right. In the interest of procedural fairness you must dismiss this case because I am not that person. 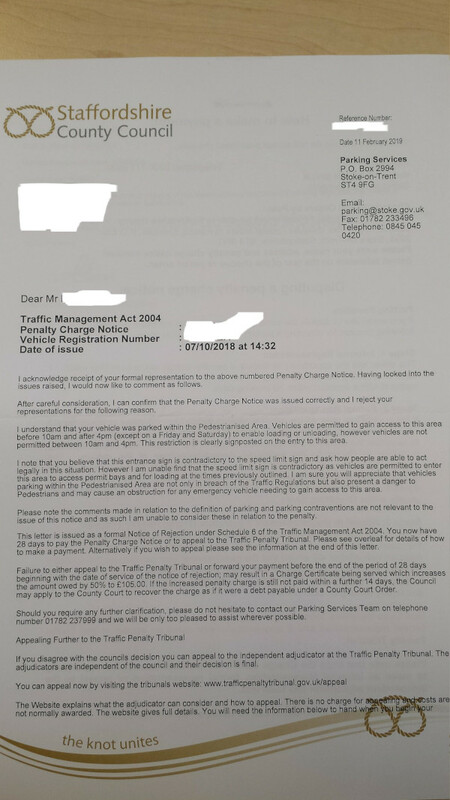 Reference: Your NOTICE TO PAY FIXED PENALTY CHARGE XXXXXXX dated 07/10/2018. 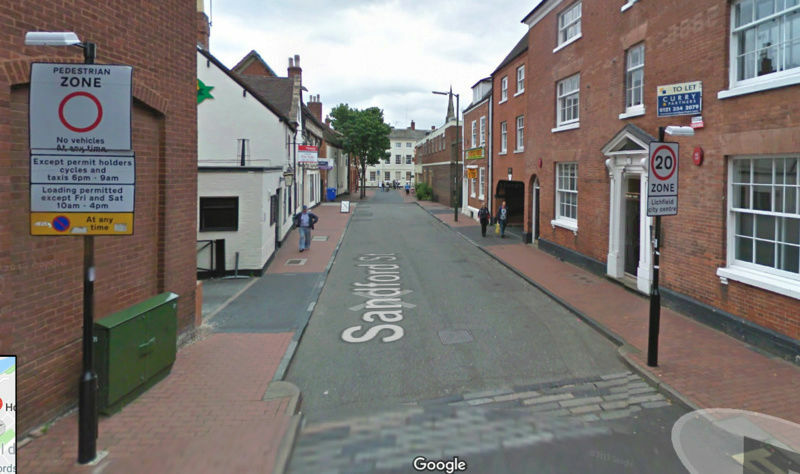 Where the car was parked there are no yellow lines and there are no restriction signs on any lamp post. The only sign is on the entrance to the area, which is not easy to notice when people are waking all over the roads on the approach to and within that area. As you can see there are many vehicles parked in this area. This is how I am used to seeing it. Please find enclosed a cheque for £1 this covers the cost of parking charges in the City on a Sunday. Any advice on how best to respond? They have not given me much time! these are the signs to the street, contradicting each other? Of course its up to you who you play this. Should you pay up ,personally i would be asking some question after. In the mean time the letter states 'I have made the decision' its got a squiggle but no name ,so who is making the claim and the decision ? Clearly another bureaucrat hiding behind the corporation and not taking responsibility . Is this a public road, owned by and maintained for the use of the public ? If yes. exclusively for commercial gain? to the exclusion of the public who own said road. Why is there no name on your letter of the man / woman who takes liability for its contents.? Word it as an offer of conditional acceptance. and other than relating to a practice in banking,I can find no definition relating in any way to vehicles. Reference: Your NOTICE TO PAY FIXED PENALTY CHARGE FAHG344RW dated 07/10/2018. Thank you for your letter dated 28/11/18 (received 30/11/18). I request to know who has made this decision: a man, woman or corporation? Who is the man or woman who takes liability for its contents? After revisiting the street and looking on Google Earth (img.1(..this is the above image)) I see two signs...clearly the one I would have noticed as I entered being on the right hand side of the vehicle and paying close attention to the pedestrians is the 20mph zone sign. Coupled with no yellow lines there was nothing in my mind to indicate I could not leave the vehicle where I did. Is this a public road? Owned and maintained by tax payers money for the use of the public? If so who has made the decision that it is limited for use by 'permit holders and taxis’ taxis being owned and used exclusively for commercial gain?...to the exclusion of the public who own said road. Please enlighten me with the legislation that states/explains: parking vehicles and penalties. 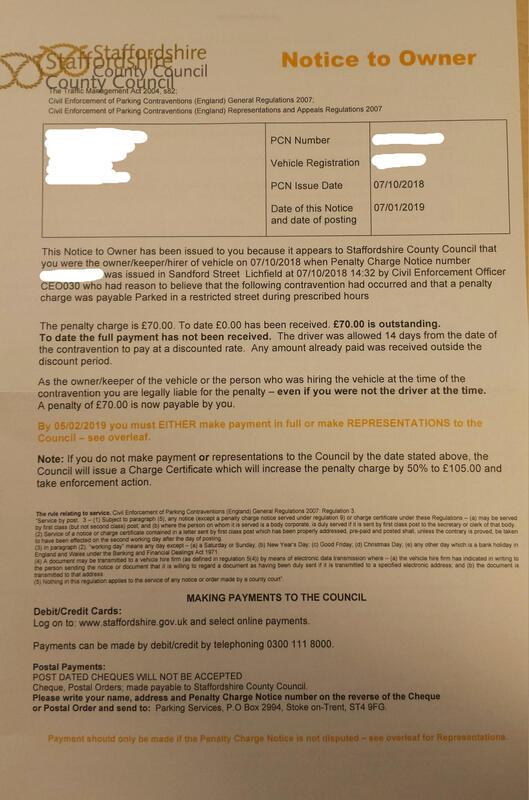 As a gesture of good will and to resolve this matter swiftly and efficiently please find enclosed a cheque for £1 this covers the cost of parking charges in the City on a Sunday. in which place press for one. I would however ask about the legal definition of the word parking. Compliance Officer says it all you will Comply trying to rob us all. Any suggestions as to how best to reply? They fail to answer any of the points i asked! when we reply to an authority such as a company, govt dept, utility etc, i think a better way to get them to come out of the cupboard is to ask questions that forces them to justify themselves. "I request the council to advise what Section of what law they are relying for their authority to take x action against you. What we are doing is putting pressure on them to reveal from where they got their legal or lawful right to do x or y. The good thing about this is that they have just done your home work for you because they have come up with what section of what law. You can then go and check it out. Without legal or lawful authority they can do nothing because if they act illegally then you have them for damages because they have caused you harm because they have not acted in accordance with the law. By asking "what section of what law is the council relying on for their authority to issue this fine or take this decision. ... they find themselves on the backfoot and defending themselves. Another way we can go is " Can the council please explain to me how I am able to act legally when I am confronted with two contradictory parking signs? The Traffic Management Act 2004 https://www.legislation.gov.uk/ukpga/2004/18/contents does not have anything defined for parking as i can see. (1) Schedule 7 specifies the road traffic contraventions that are subject to civil enforcement. (d) moving traffic contraventions (see Part 4 of the Schedule). (3) Regulations under this Part of this Act may make different provision in relation to different descriptions of contravention. (4) The appropriate national authority may by regulations make such consequential amendment of Schedule 7 as appears to the authority to be required in consequence of the amendment, replacement or revocation of any provision of subordinate legislation referred to in that Schedule. Hi, Just a thought & have a look yourself but as i posted earlier in the thread. I can find no other def of parking in dictionaries ,legal or otherwise. Is this suitable / how can it be improved? Reference: Your Notice to Owner dated 07/1/2019. The Traffic Management Act 2004 has no definition of “parking”. 1. Where is: (a) parking contraventions (see Part 1 of the Schedule); ? 2. I request you inform me: a, the definition of parking? b, what are parking contraventions? 3. Img.1: Can the council please explain to me how I am able to act legally when I am confronted with two contradictory parking signs? Please find included an invoice for this letter for £30. 1. I request you inform me: a, the definition of parking? Also where you obtained this definition? 2. What part of: (a) parking contraventions (see Part 1 of the Schedule); are you basing this alleged contravention? 3. Img.1: Can the council please explain to me how people are able to act legally when confronted with two contradictory parking signs? £30 per letter; £40 per hour for further research. 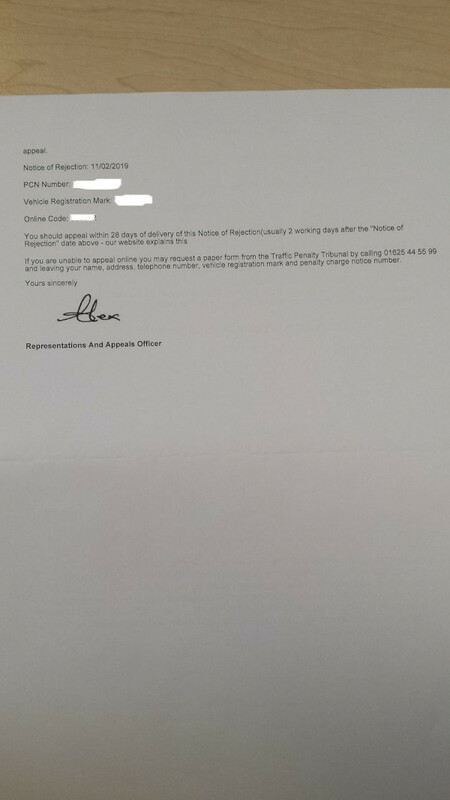 Please find included an invoice for this letter for £30 and your Notice to Owner. 1. I require you inform me: a, the definition of parking? Also where you obtained this definition? The PNC states; the traffic management act 2004 s.78 civil enforcement of PARKING contraventions. On a Sunday at 14:32 the following contravention occurred - Parked in a restricted street during prescribed hours. How can the definition of "parking" be irrelevant to this notice! How best to tackle it now? they are accusing you of . How can they make a claim when they cannot tell you what the claim is based upon. That 2 line sentence is very telling. Its telling you they cannot define it. As pitano says now use the word require. All a farce but nicely wrapped in legal red tape! 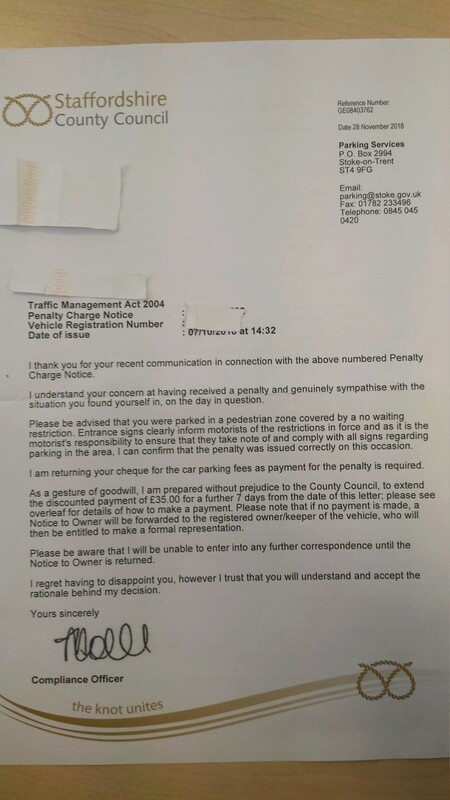 The received PNC states; the traffic management act 2004 s.78 civil enforcement of PARKING contraventions. On a Sunday xxxx at 14:32 the following contravention occurred - Parked in a restricted street during prescribed hours. 1. You tell me exactly how can the definition of "parking" be irrelevant to this notice! 2. a, the definition of parking? Also where you obtained this definition? 3. 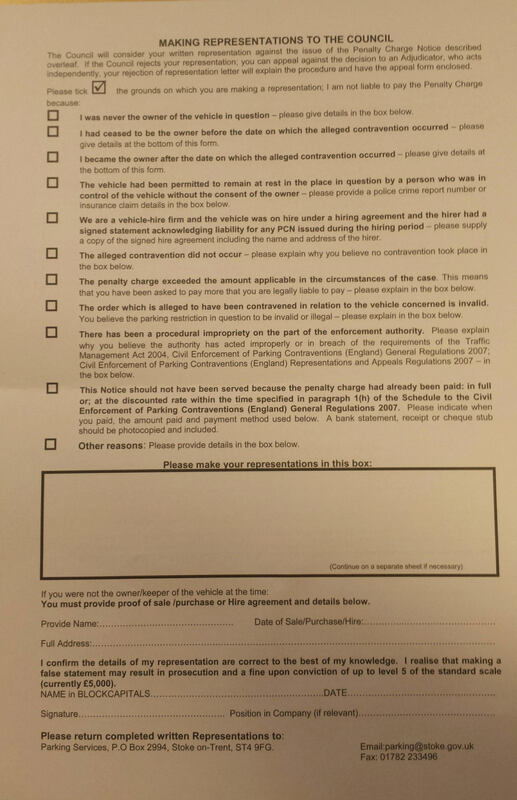 What part of: (a) parking contraventions (see Part 1 of the Schedule); are you basing this alleged contravention? of the word ,are you accusing me of performing a banking practice at this location? definition of the term "parking a vehicle"? to vehicles ,'why not' . would do if it were me. In Schedule 7 "parked" is not even mentioned. The other interesting word used here (the road signs) is "loading"
"the branches of a tree diminish in cross section according to their loading"
an increase in an insurance premium due to a factor increasing the risk involved. an increment added to a basic wage for special skills or qualifications. Load: to be adding to something, so if you're adding weight to a vehicle by picking up someone then this is loading...? What is Staffordshire County Council's definition of the term "parked"? 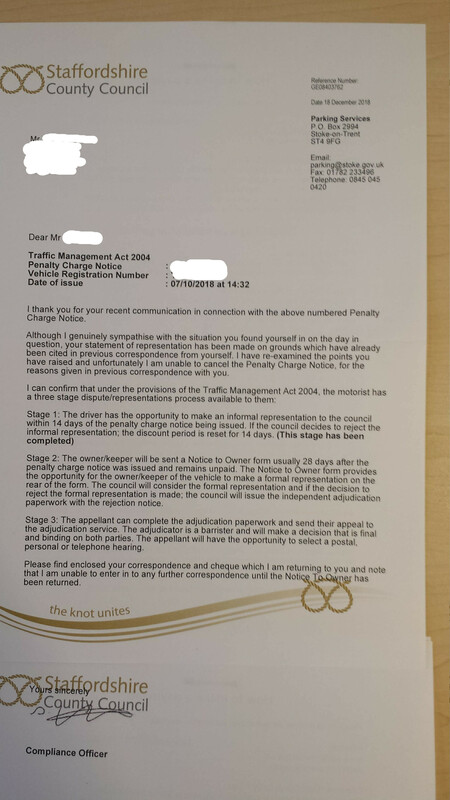 Information not held - I am advised by the relevant service that Staffordshire County Council does not maintain its own definition of the term "parked".